We take great pleasure in introducing ourselves as a tour & Travel House that has been looking after the needs of all travellers since 1990. 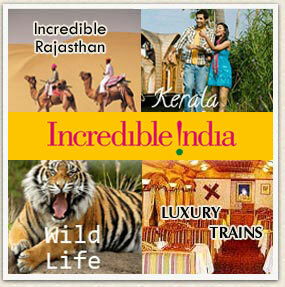 The sole aim of our organization is to cater to all your needs of Travel & Tours to this Great Indian Sub-Continent. Our Head Office is in Jammu (Tawi) in the state of Jammu & Kashmir and we have associate branches all over India to enable us to look after your need & attend to you at all times. With our motto being - "SERVICE BEFORE SELF", we will give you a 'TRUE VALUE FOR MONEY' holiday/business trip with a personalized service right from the moment you contact us. Thus not only will we save your time and money from the inception stage itself, but also help you in planning these from the comforts of your homes/office. We therefore invite you to embark on a journey to explore the mystery of the Great India Sub-Continent with our professional expertise. Enjoy the experience with a great value for money holidays to all major and off beat destinations in India and pilgrimage to Kailash Mansarover; Mata Vaishno Devi & Shri Amarnath Ji. Enjoy Trekking, Rafting, Cultural & Meditation Tours in Ladakh - "The Land of Broken Moon". Come to relax & rejuvenate with the Ayurvedic Treatments & Yoga under expert guidance down in South India or take a Wild Life holiday to see the Tiger & Rihno & explore the various National Game Parks or just hop on to any of the Luxury Trains & see the countryside the erstwhile Indian Maharaja Style. We are achieving a turnover between INR 30-35 million every year. Our Mg. Director Capt. Anil Gour - was the Chairman IATO Jammu & Kashmir Chapter for 13 years and is also an Ex-President of Travel Agents Association of Jammu. He has also received the prestigious 'Bhartiya Paryatan Vikas Rattan Award' on 5th Sept. 2008 from the International Business Productivity Forum at New Delhi. We have also achieved the distinction of being recognised as the "Leading Service Provider - Outbound Tourism" by TAAI, J&K Chapter & received the Award from Mr. Rigzen Zora, Hon'ble Minister for Tourism J&K Govt. 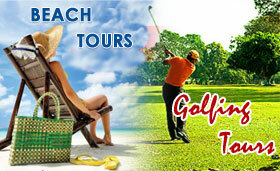 Our esteemed clients are the discerning FIT's/Groups and the Inbound Domestic Tour Operators & Travel Agents. • Govt. of India, Ministry of Tourism. • Jammu & Kashmir Govt., Tourism Department. • Travel Agents Association of Jammu (TAAJ). 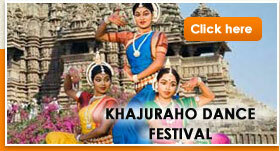 • Indian Association of Tour Operators (IATO). • J&K Pilgrim & Leisure Tour Operators Forum (PILTOF). Master Tours & Travels assumes a commitment to social responsibility, with the people, the environment and nature. In our company, we promote conscientious use of water and energy, recycling paper, plastic and glass. Small details such as turning off the light when we leave the office, turning off the computer screen when one is absent for several minutes and not letting the water run unnecessarily, are daily practices in our offices. We also maintain business ethics and promote human development; we care about the working conditions and the health of all our collaborators and not only carry out social work throughout J&K and its provinces, but also collaborate with UNICEF and other entities of social assistance. We at Master Tours & Travels subscribe; adhere too & follow the principals of responsible tourism at all levels. Our belief that we have to preserve our scarce resources to leave them as a legacy for the following generations along with ensuring a greater participation from the local community guide us in not only planning all our tours & visits of the guests but also makes us take our responsibilities to the environment, local communities, customers, partners and employees very seriously. We ensure our guests visit the local schools, monasteries and markets of the places being visited so that are able to get a full understanding of the culture, its people, religion and customs of each region. We employ the local population of the villages & towns as porters, helpers & guides who being well versed in the local traditions & culture; guide & brief our guests so as to ensure that the visitors have a richer & authentic experience of local life, culture & traditions of the area they visit. We take care to inform our guests how and why purchasing locally produced goods and services from locally owned establishments instills a sense of pride & usefulness amongst the local communities thereby not only has a social beneficial effect but also raises their economical levels by getting prosperity to the rural areas. If the guests are inclined we welcome them to try their hands at the village chores to get a still richer & fulfilling experience. Conservation of energy & efforts to reduce our Carbon footprint starts from our office itself wherein we are using CFL & LED lighting along with recycling our printer cartridges & paper waste. During our treks & excursions we also use solar lanterns & solar cookers thus restricting the usage of fossil fuels. Care is also taken to ensure our guests do not damage to the environment, wildlife and marine ecosystems leave the same in their own pristine conditions. All in all travelling with Master Tours & Travels is a rewarding experience for both the guests & the local population of the areas visited.